When we are young, we put huge pressure on ourselves for dates we want to achieve things by, where we see ourselves by whatever age and are constantly worrying about achieving are goals. I'm pretty sure I'm not alone on this one! Last Thursday was my 25th birthday. The thing is about birthday's, although they are exciting and special, they are also a reminder another year has gone by in our fast moving lives. I hate it and I always freak out. I don't own a house yet! I don't have a decent career! This wasn't where I thought I be when I fantasied about my future in boring lectures at Uni! Mhmm... Well, I'm trying to use my birthday freak out to spur me onto better things. I'm trying to be more pro-active and make my future what I want it to be. If there is one thing I have learnt by now, it's that these opportunities don't just appear out of thin air! So, back to the point of this post. I decided a few months ago that I either needed to start scrapbooking or writing a journal. Eventually, I would like to do both but for now I'm all about the Scrapbook. I feel like having a physical document of your memories, dreams and ambitions is a lovely way to remind yourself of the things to be grateful for and all the things you still want to do. 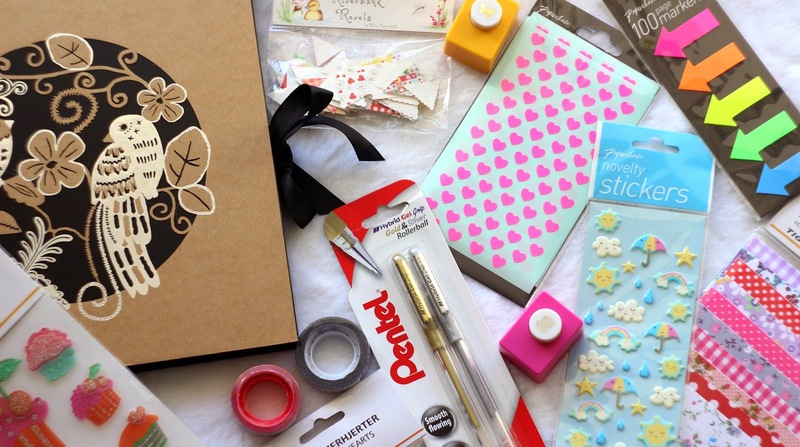 There seems to be a lot of hype online at the moment about scrapbooking. I've seen many posts discussing 'Project Life' but I'm sticking to the old school sugar paper-style pages. I feel like I can have a bit more freedom with an empty book but either way is a great way to materialise your memories. I asked for a few bits for my birthday and also collected some supplies when shopping at the weekend. Hope it gives you some inspiration! My sister kindly bought me some beautiful bits from Paperchase for my birthday. Look at this scrapbook! 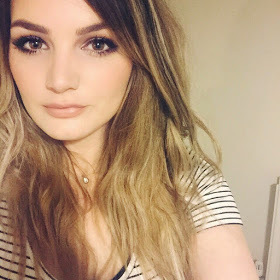 I am in love (inserts heart-eyes emoji). It is honestly so stunning, I cannot wait to use it! I don't know exactly how much it was as it was a gift, but most of the ones on their website are around 10-15 pounds so good value for money. My sister also bought me a selection of stickers. 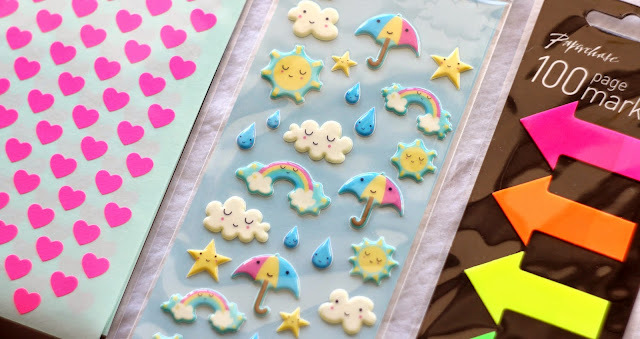 The kawaii weather stickers are my absolute favourite. I want to stick them all over my face I LOVE THEM SO MUCH!! My sister also got me a few other bits, however, I am not sure if these were from Paperchase? 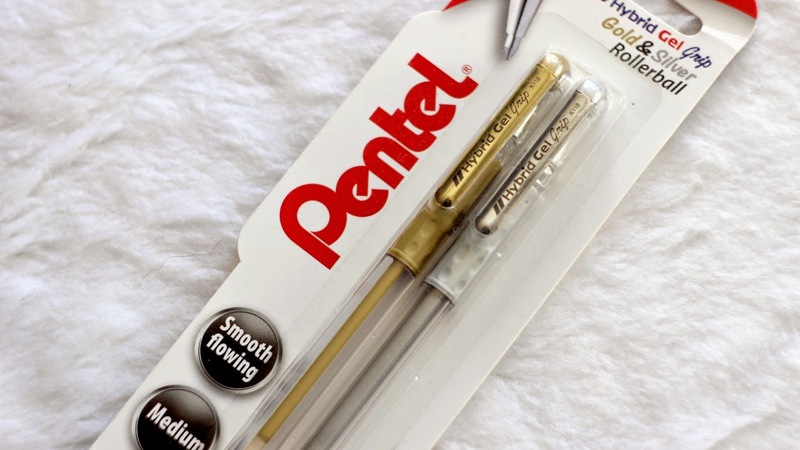 The gold and silver gel pens compliment the scrapbook colours perfectly so will be great for adding notes such as dates, names of places and other bits and bobs. We must also take a moment to appreciate these tiny bunting pieces. These will look adorable strung across a birthday page or something summery. So cute! When I was in London at the weekend I popped into one of my all time favourite shops, Tiger. I have issues when it comes to Tiger. I don't have a store local to me so when I see one, I have heart palpitations. And then I go in and buy everything I see. The problem for my bank account is that they stock SO much craft stuff. However, everything is super cheap so it's not really a massive issue if I pick up everything shiny or cute. I got so many useful bits and spent about £15 so not bad at all! 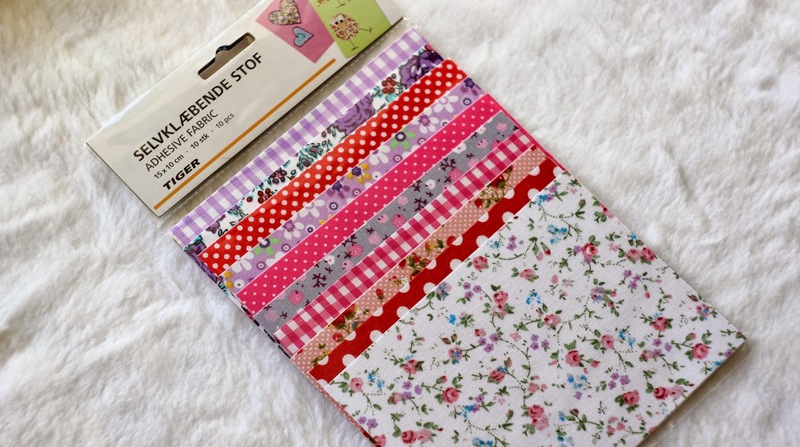 The adhesive fabric cost £2 and I think it will be a perfect addition to my scrapbooking supplies. 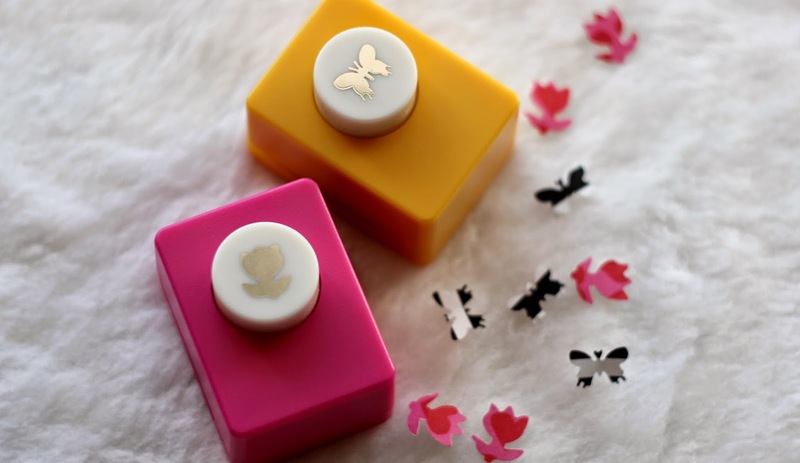 What is great about it is that it won't fray, it can be layered and it is really easy to cut. 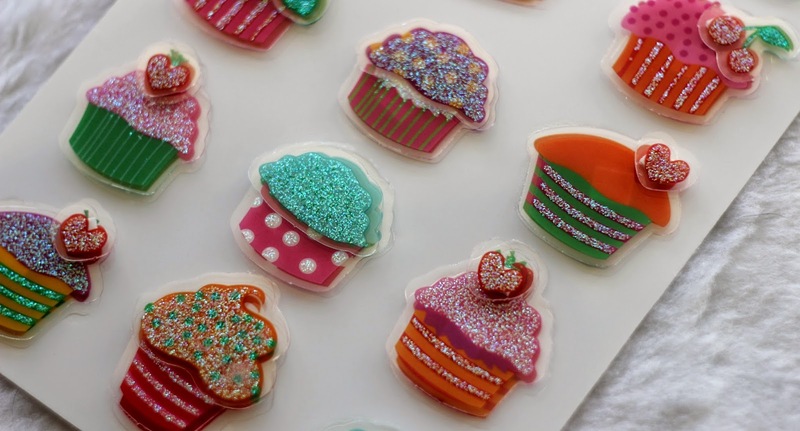 I also picked up these rather sparkly 3D cupcake stickers, which were only £1. I have already been sticking these around the house! You can't stop me! 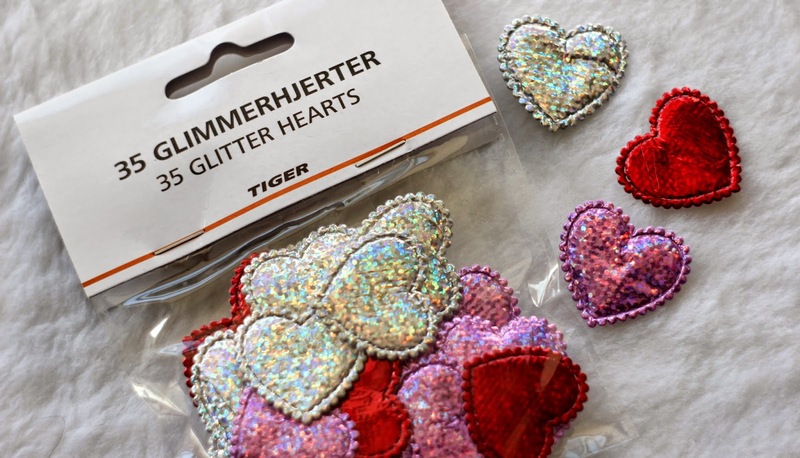 I found these shiny hearts alone on a shelf so I had to pick them up, would have been rude not to. I think they must have been part of their Valentine's range but I'm sure I will make use of them for a few things. They would look lovely on a Valentine's card though. I have wanted some of these hole punch thingys for a little while. I like the idea that they can be used to cut cute shapes out of a page but also that they make confetti-type cut outs. 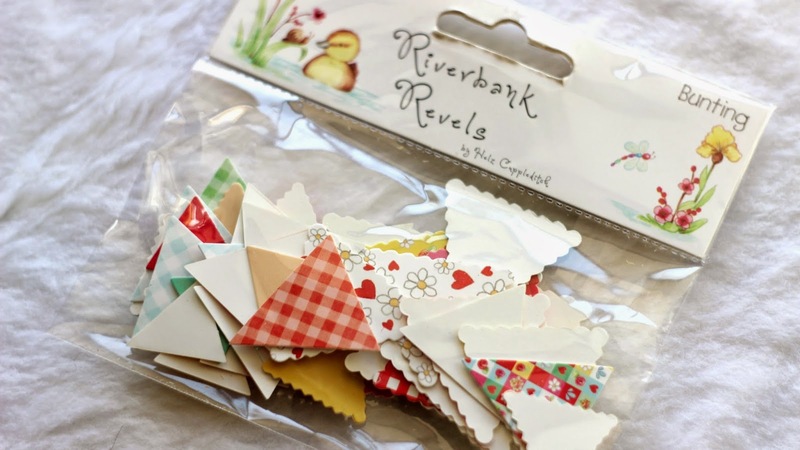 I thought they could be useful for scrapbooking, card making and so much more. For a pound each, can't really go wrong! 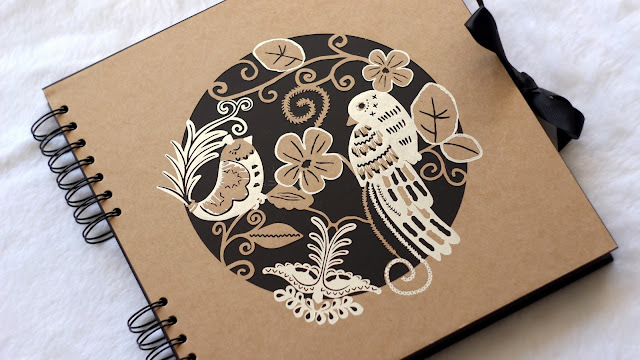 Finally, I bought a book of decorative paper. 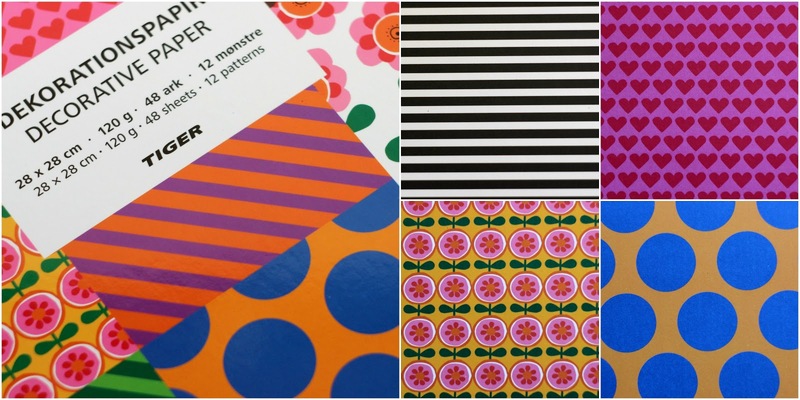 Each page has a gorgeous design that will be perfect for backing photos and adding some colour to my scrapbook. These four are my favourite from the book, I love how vibrant they are! So there we go, a huge haul but not at a huge cost. I cannot wait to start my scrapbook. I'm going to send off to get some photos printed so I can do the main events that have happened so far this year. I'm not going to be strict and regimented about scrapbooking every month, I just want this one to be general good memories from this year. It will be a perfect way to keep things like tickets, print outs and photos. Once I've got a fair few pages done I will do a follow up post to update on how I used everything and to see how I'm getting on. But for now, I cannot wait to get started!